While many of us that closely follow the Utica Shale can point to the growth in activity as a great sign, it is interesting to look outside to some of the other U.S. tight plays for some perspective. Where does the Utica Shale fit? 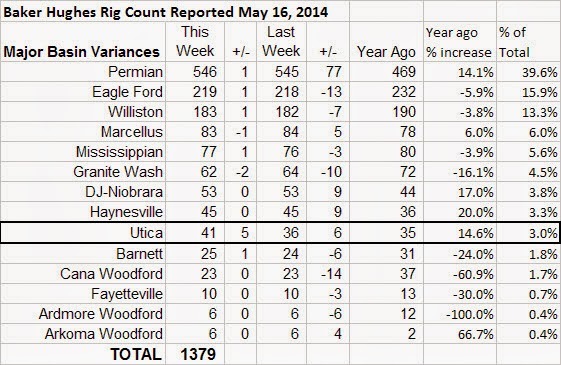 According to the May 16, 2014 report from Baker Hughes (rig count), the Utica shale ranks 9th in rig count. 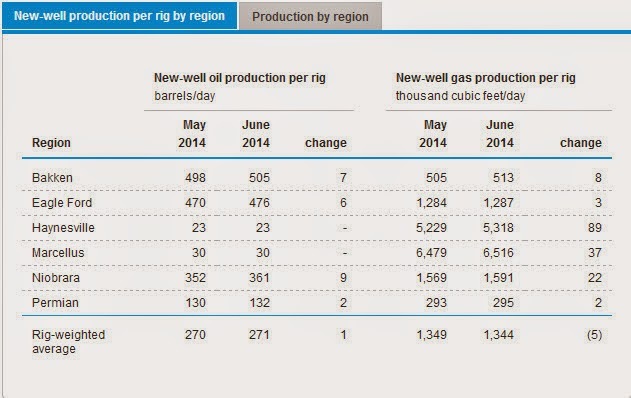 And this 9th position equates to just 3% of rig count among the major basins, most unconventional. 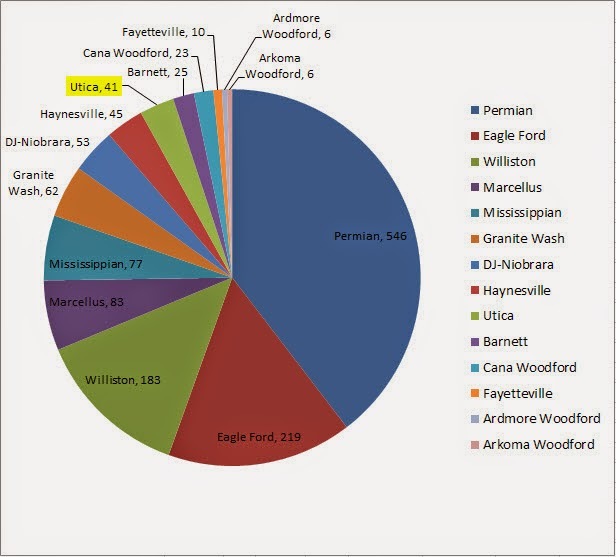 For example, the Permian, Eagle Ford, and Williston (Bakken) basins account for a whopping 68.8% of the rigs. The Marcellus + the Utica account for just 6.3% of rigs. Another useful comparison is to look at the total monthly production from the play. Here the U.S. Energy Information Administration does not show the Utica Shale in the top six, apparently the play has yet to reach a total production amount worth mentioning. Utica Shale production is just starting to ramp up but it may be some time, if at all, before it reaches the status of the six most prolific areas as defined by the EIA. So, while we cheer the Utica and do expect great things to come, this play will not likely rival many of the larger plays in the U.S. Of course there is nothing wrong with this. Anything that the Utica Shale can add to the nation's supply and to the economy is greatly appreciated. Drilling activity in the Utica Shale in Ohio continues to be dominated by Wells in the Southeast.